Despite a major road-widening project, junction improvements, and bus priority measures being introduced to ease the chronic traffic problems in Parkmore, a Galway TD is demanding "much more efficient action" to be taken. Work is to begin on providing a second, left turning lane for vehicles exiting Parkmore West towards the Tuam Road, the Galway City Council has given a commitment to deliver this new left turning lane, which will include a bus and cycle lane, by Christmas. The development has been welcomed by Fine Gael Galway West TD Hildegarde Naughton. However she said, "the solution to Galway’s traffic problems cannot be solely about moving cars from point A to point B". The TD is calling on the council to identify areas within two kilometres to the west, east, and north of the city to be developed as strategic park-and-ride facilities, with appropriate priority bus and cycle lanes as part of the overall transport infrastructure for the city. “The issue of traffic congestion affecting commuters and businesses in Parkmore has been an absolute priority for me. It is impacting on the quality of life of individuals and families, as well as adversely affecting the potential for job creation in Galway. I am also in regular contact with the business community in Parkmore who, again and again, express their frustration with the enormously slow pace of improvement,” she said. Dep Naughton contacted the Senior Planner at the Department of Housing, Planning and Local Government over the weekend to get assurances the Department was continuing to monitor the situation. Nonetheless she said the Department "should not be in a position where it has to micro-manage works that are within the remit of the local authority and other agencies such as the IDA". 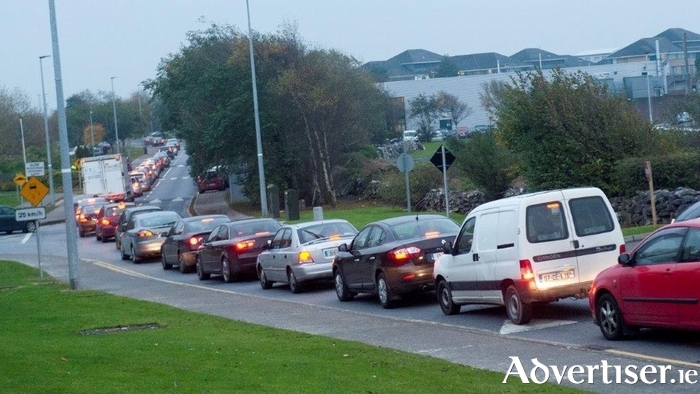 A strategy of short and long term actions was put in place to tackle traffic congestion at Parkmore, but it has "faded from the priority list over the summer months". Dep Naughton said: "We cannot have a situation where we agree a plan and then the actions laid out are not followed up until a new crisis emerges." She will now meet with the Minister of State with responsibility for Local Government, John Paul Phelan, to ensure "focus is retargeted on this vital work". Page generated in 0.1810 seconds.